On Sundays we pluck just one walk from the vast London Walks repertoire and put it center stage. Frontline London – the only neighbourhood the government feared. Down and out London, it was the worst slum in Europe. Paradoxically it was also London at its richest! Richest in terms of its artistic expression and social ferment and human mix. It's the London of revolution (we'll see the building where Lenin, Trotsky, Gorky and Stalin touched down); of sieges and battles; of Isaac Rosenberg and Mark Gertler; of the greatest Indian poet of them all; of the Liberty Bell (and Bi-Centenary Bell) foundry; of the Krays and the Elephant Man; of the best ethnic restaurants in London; of the 13th-century White Chapel and synagogues and mosques. And astonishingly – despite the attentions of the Luftwaffe – much of the "fabric" is still there. Best of all, it's "real people's London" – and they're still there, too. 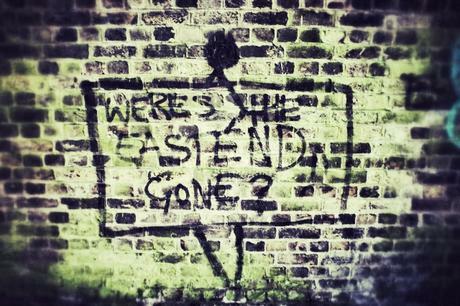 The Unknown East End Walk takes place every* Sunday at 2 pm. Meet just outside the exit of Whitechapel Tube. N.B. 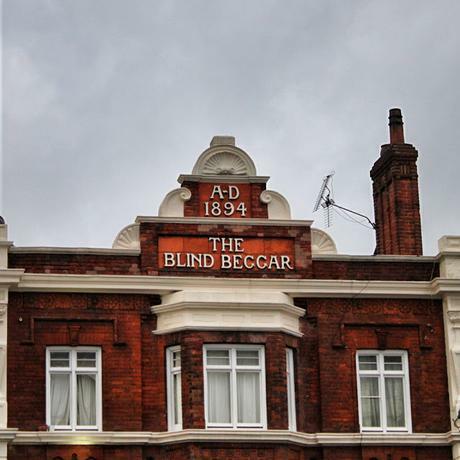 the Walk ends on the corner of Fournier and Commercial Streets, which is convenient for Liverpool Street Station and Aldgate East Tube and Spitalfields Market. Harry – "Britain's Favourite Guide"* – is a Cockney, a Scouser and (these days) a country gentleman. And a character - how could he be otherwise? And a top flight professionally qualified Blue Badge Guide. *So he was elected on that famous BBC Radio 4 travel programme.